Wed., Dec. 7, 2016, 8:06 a.m.
JPMorgan Chase, HSBC Holdings and Credit Agricole were fined a total of 485.5 million euros ($521 million) for rigging the Euribor benchmark as European Union antitrust regulators wrapped up a five-year investigation into the scandal. The trio colluded on euro interest rate derivative pricing elements, and exchanged sensitive information, in breach of EU antitrust rules, the European Commission said on Wednesday in an emailed statement. JPMorgan was fined 337.2 million euros, HSBC got a 33.6 million-euro penalty and Credit Agricole must pay 114.7 million euros. 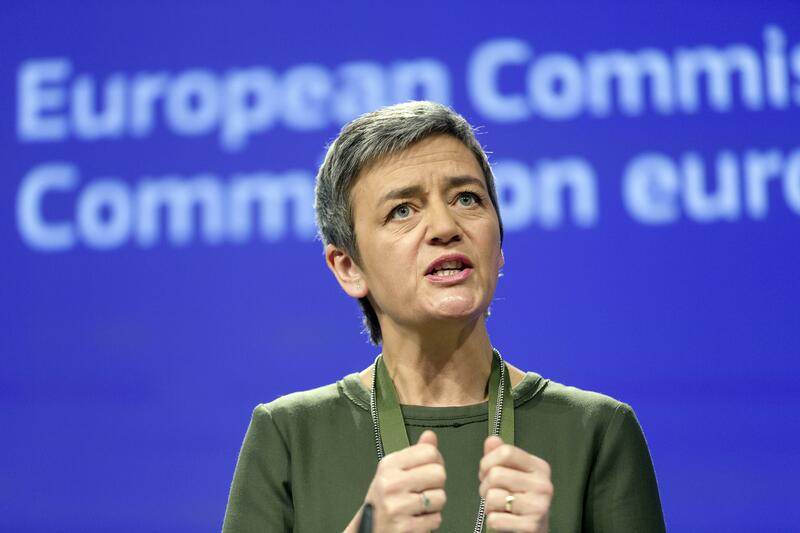 “Banks have to respect EU competition rules just like any other company operating in the single market,” said Margrethe Vestager, the EU’s antitrust commissioner. The EU’s investigation into Euribor manipulation was strained three years ago after Credit Agricole, JPMorgan and HSBC refused to join a multi-bank settlement with four other lenders including Deutsche Bank and Societe Generale. Since then, the holdouts have been a thorn in the commission’s side — successfully delaying the process and showing up the regulator for its handling of the case. The three lenders were handed a statement of objections in May 2014 accusing them of colluding to rig Euribor rates in the wake of a global scandal embroiling some of the world’s biggest banks. By refusing to settle the case with the commission they forfeited the chance of a 10 percent discount on any fines. Credit Agricole in a statement said it “firmly believes that it did not infringe competition law” and that “it will appeal the commission’s decision.” The fine payment “will not affect the 2016 financial statements given the provisions set aside previously,” the Montrouge, France-based bank said. HSBC said it “did not participate in an anti-competitive cartel,” and is also considering its legal options, according to a statement. About $9 billion in fines have been levied against a dozen banks by global authorities over the manipulation of the London interbank offered rate and similar benchmarks in the last four years and more than 20 traders charged. Libor and Euribor, the euro interbank offered rate, gauge banks’ estimated cost of borrowing over different periods of time. The rates are a benchmark used to calculate interest payments for trillions of euros worth of financial products including mortgages. Last year, Tom Hayes, a former UBS Group and Citigroup employee, became the first trader to be jailed over the Libor scandal, and is serving an 11-year sentence in the U.K. for his part in rigging Yen Libor. Several Euribor traders from Deutsche Bank and Barclays are due to stand trial in London next year. One trader from Societe Generale has also been charged. Vestager left open the possibility of further fines for financial firms caught up in global scandals — but refused to be drawn on when the EU would wrap up a probe into the manipulation of currency markets. This is “a very large, very complex case, with a lot of participants and that makes it very difficult” to give a timeline. Published: Dec. 7, 2016, 8:06 a.m.